No.407 Naipe Español manufactured by Vereinigte Münchener Spielkarten-Fabriken K.G. (F.X. Schmid) in West Germany for the Argentine market, c.1980. The blue/white Argentine flag is visible on the ace of coins. 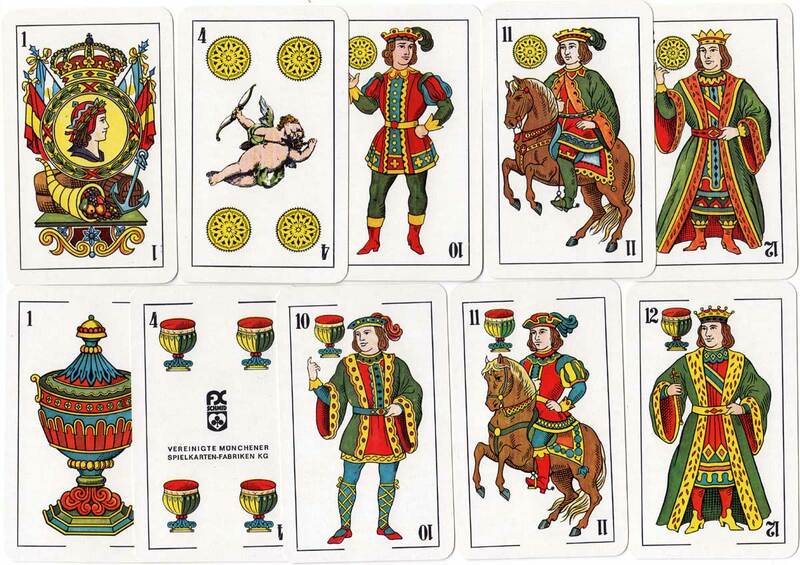 The angel/cupid on the four of coins resembles that of "Naipes Angelito" formerly published by Cia Fabril Financiera S.A although no mention is made to that brand name in this edition. 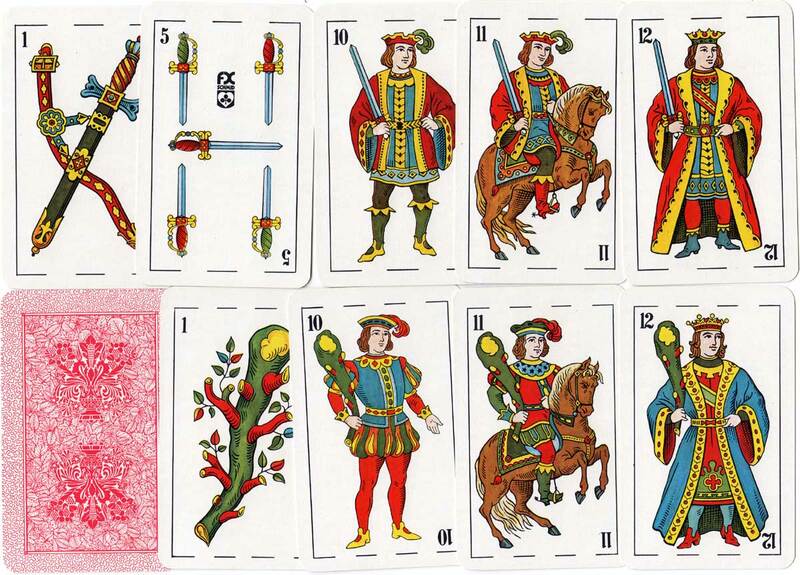 The design of the cards is different from cards formerly printed by Cia Fabril Financiera for F.X. Schmid (Argentina). 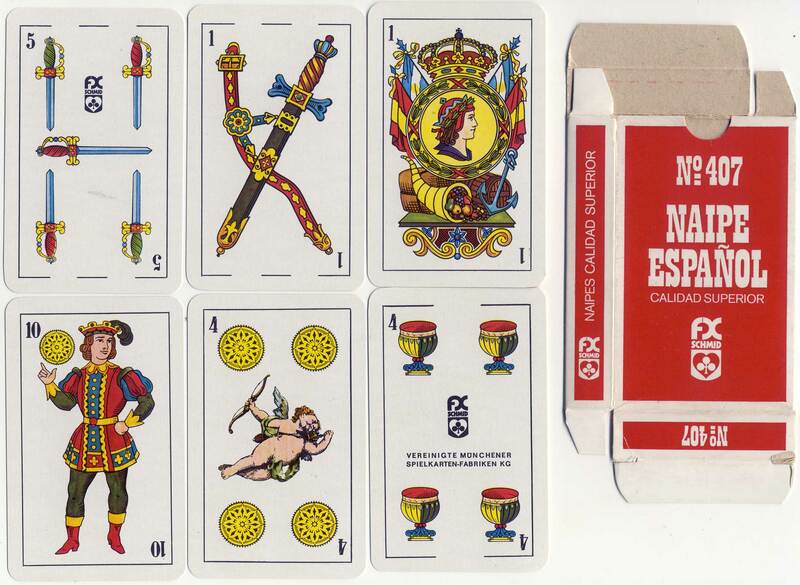 Above: No.407 Naipe Español manufactured by F.X. Schmid in West Germany for the South American market, c.1980.